Our country has a long tradition of using scents and attar. In fact, we have strong roots and connections with fine fragrances. The kings and queens of ancient times used to have special penchant for fragrances that celebrate their personalities. Fragrances were also actively used for worshiping gods right from the Vedic age. Incense, for example, has helped the Rishis of old to meditate, playing a vital role in spiritual rituals. It is believed that since fragrances are made from natural substances like flowers, woods and water, they deeply affect our psyche. For many centuries, the town of Kannauj in Uttar Pradesh has been known as India’s perfume capital, producing the traditional attar. Today, a huge number of ingredients from India, including jasmine oils, sandalwood, rosewater, saffron, patchouli and many more are used by luxury perfumeries around the world. So don’t you think it makes perfect sense for us Indians, to buy the authentic perfumes and fragrances of India, rather than investing in insanely costly foreign brands? Another reason why fragrances and perfumes are so popular in India is because of our tropical climatic conditions. Heat and stickiness is almost synonymous with summers in India, and we need to be very sure in our choice of perfumes. We want our perfumes to not only give us great smell but also helps us feel fresh throughout the day. 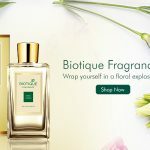 Let’s have a look at some of the best fragrances from Biotique that are not only authentic and grounded, but are also cost effective, and extremely safe to use. This is an oriental woody fragrance with Bergamot Mandarin in its top note. Its middle notes contain Peach, Rose Muguet, Freesia Jasmine and in base note you can find Patchouli, Moss, Sandalwood, Vanilla and Musk. It is very subtle and still leaves a long-lasting smell, thanks to its base note. This is not like a traditional jasmine flower perfume which is very intense, but rather carries polite and soft notes of jasmine. Just use it once while you leave in the morning and experience a natural, woody fresh fragrance all day long. If you are a fan of feminine perfumes, go for the Imperial Patchouli scent. It is a modern blend of floral and balanced notes, recommended for evening wear. Planning a dinner date or a Saturday night party with your mate, wear this perfume and bring alive the romantic, magical and sensual aura. Bio Imperial Patchouli is one of the best fragrances if you are looking for a floral scent. Saffron is the smell of royalty. Even when you search for popular perfumes for women, ones with saffron in the base note would top the list. Bio Royal Saffron is undoubtedly one of the top fragrances if you are looking for something magical and meditative. It has the power to make everything seem more positive! We have used a perfect blend of organic water lily oil, saffron, jasmine and tuberose on a fine base of patchouli. Wear it and awaken your deepest senses, at once! If you are looking for a soft smell that lingers with you all day long, and yet omits a profound aroma, your search can end with Bio Blissfull Lavender. It contains lemon oil, cedarwood oil, fresh lavender oil, mandarin and marine accords, paired with the deep captivating radiance of musks. This makes it inspiring and seductive, creating a profoundly sensual aromatic unisex fragrance. Since this is a Eau De Toilette, so spray it generously on all your marma points, specially the marma pulse points. Some perfumes are not just aromas…they are elegance and charm. 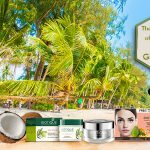 Bio Rejuvenating Vetiver is one of those perfumes. It is a distinguished aromatic citrus eau de toilette with a strong character. It is fresh, woody and spicy, thanks to a fine blend of basil oil, vetiver oil, bergamot and amber. Wear it when you are going out with your special someone and smell like a royalty with timeless elegance, charm and vibrancy! 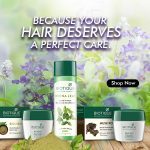 You wouldn’t go wrong with Bio Rejuvenating Vetiver. Fragrances evoke a whole new world. They awake our senses and uplift our personality. That’s why choosing fragrances is called an art. Hope you are able to get some idea of what our fragrances have to offer to you. 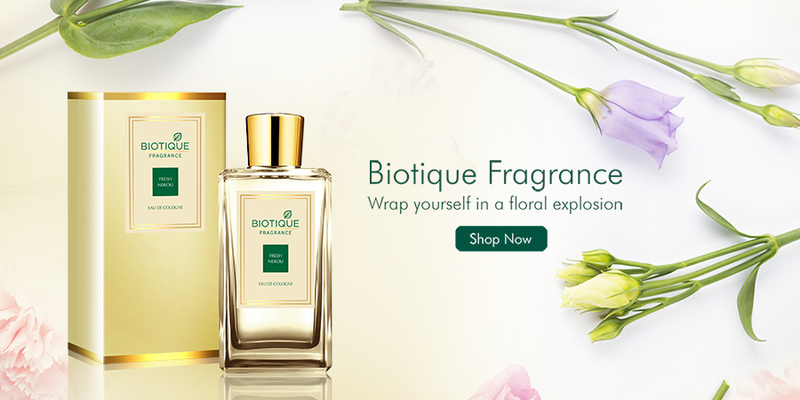 All the fragrances from Biotique are organic and safe to use, but should you seek further information and want to ask anything before buying fragrances online, you can consult us here. Our team of experienced individuals are available to guide you in choosing those perfect summer fragrances.